School of Architecture, Planning and Landscape at Newcastle University. Sponsored by Churchill Retirement Living, supported by Housing LIN. This guide reviews the changing needs and expectations of this development market, setting out key research, planning and practice issues. 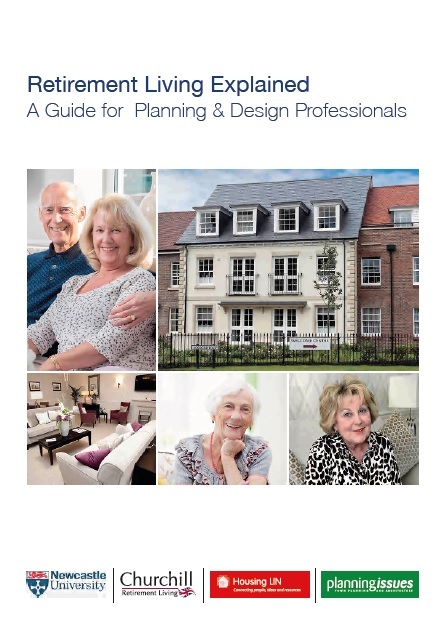 “Its key conclusions are that specialist retirement housing offers wide-reaching benefits that meet the three pillars of sustainable development – economic, environmental, and social – and that these benefits apply to individuals, communities and society as a whole. It comments that retirement housing often sits awkwardly between general purpose housing and care establishments and its purpose is poorly defined and not fully valued. To download a copy go the Housing LIN website.